March | 2013 | Small Farmers. Big Change. 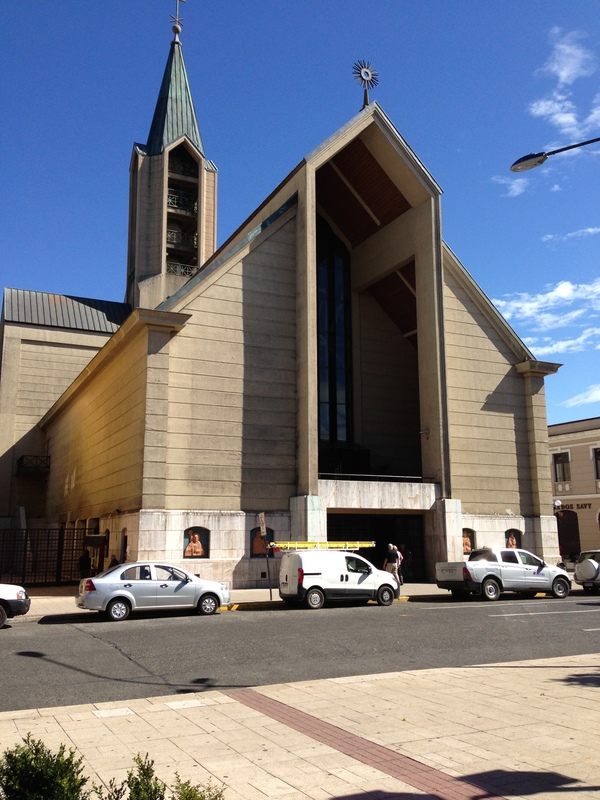 I spent yesterday morning walking around Valdivia, discovering some of the city’s unique qualities. There’s a bustling, but very manageable downtown area, a shady central park, river walkways and outdoor markets, a university campus with a beautiful botanical garden, and much more I haven’t gotten to explore yet. The city is heavily influenced by the Germans and you can see it in the architecture, with lots of modern buildings, brightly painted wooden houses, pubs and at least one brewery. Chino, (Juan Eduardo Henriquez) the General Manager of Apicoop, explained to me over dinner last night that many of the buildings are made with wood, not only because forests abound, but because wooden structures sway and can therefore survive earthquakes better than other materials. After the 1960 earthquake (the largest earthquake ever recorded) which destroyed the entire city and the economy for the following twenty-five years, no one’s taking any unnecessary chances. The only house that survived the 1960 earthquake. 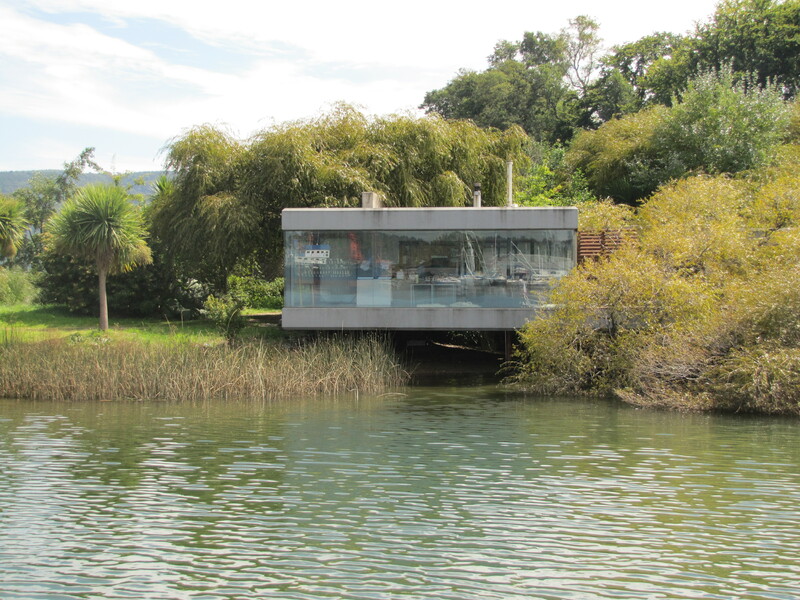 In the afternoon, I treated myself to a one-hour boat ride down the River Valdivia, to the River Cruces, and back, via the River Cau Cau, Chile’s shortest river. 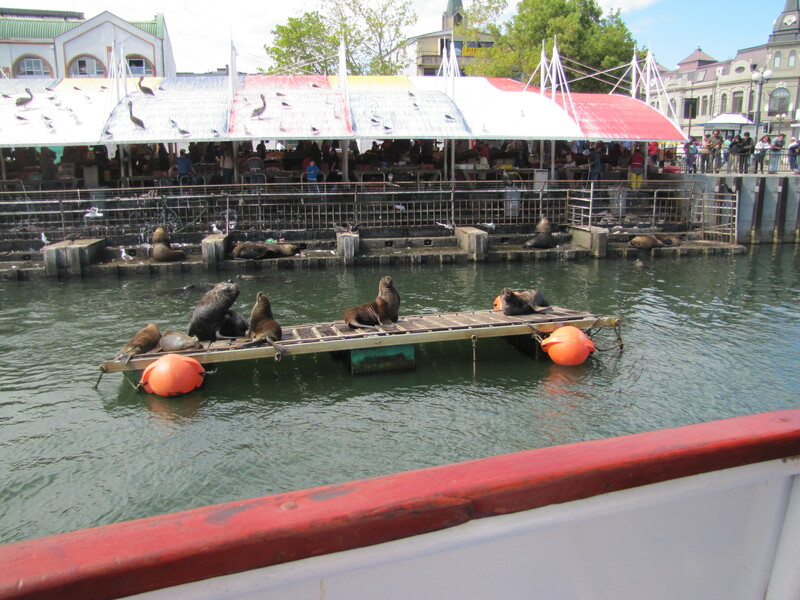 Diego, our tour guide, pointed out the sea lions which hang out behind the open-air fish market, some fancy houses, eucalyptus forests, and the dramatically changed landscape resulting from the flooding which occurred after the earthquake and tsunamis in 1960. He told us that Valdivia was shaped by four competing, sometimes clashing, economic forces: the university, industry, forestry, and tourism. All the wetlands in this photo used to be solid ground. Last night over dinner, I asked Chino and his wife, Anabella about Diego’s comments. Chino explained that Valdivia is certainly a university town with one of the best universities in South America, the University of Austral. He told me how the students were staunch opponents of Augusto Pinochet and well-respected (in certain circles) for having held the country’s longest strike (45 days) against his military dictatorship. 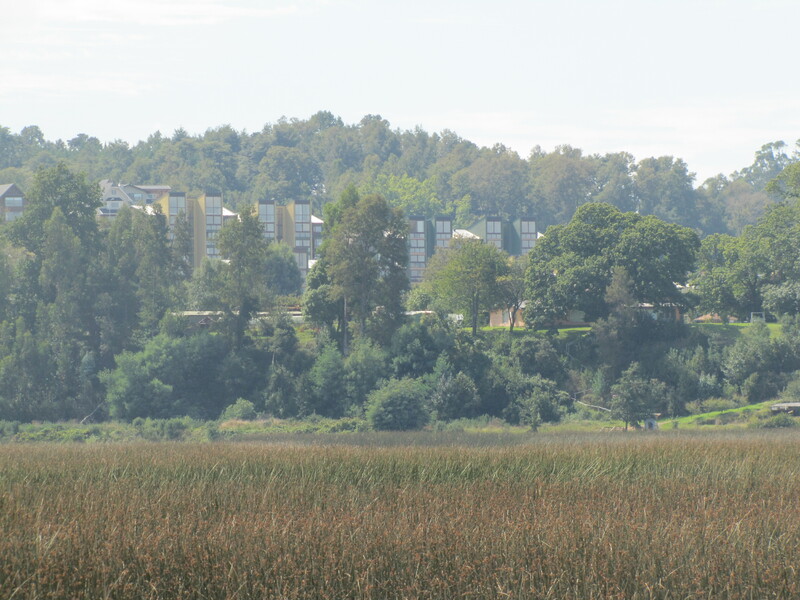 However, while Valdivia is fortunate to have some of the cultural, social and economic benefits that universities bring, there are definite causes for concern. The cost of education is exorbitant and students can expect to graduate with debts equivalent to a home mortgage. Two graduates who want to get married, each carrying a burdensome debt – now equal to two home purchases – will never be able to repay their loans. We continued our conversation, over some highly-awaited Chilean Cabernet, into the late evening. The rest of my colleagues from Equal Exchange arrive tonight and I’m looking forward to seeing them and eagerly awaiting tomorrow when we make our first visit to meet Apicoop’s honey and blueberry producers. 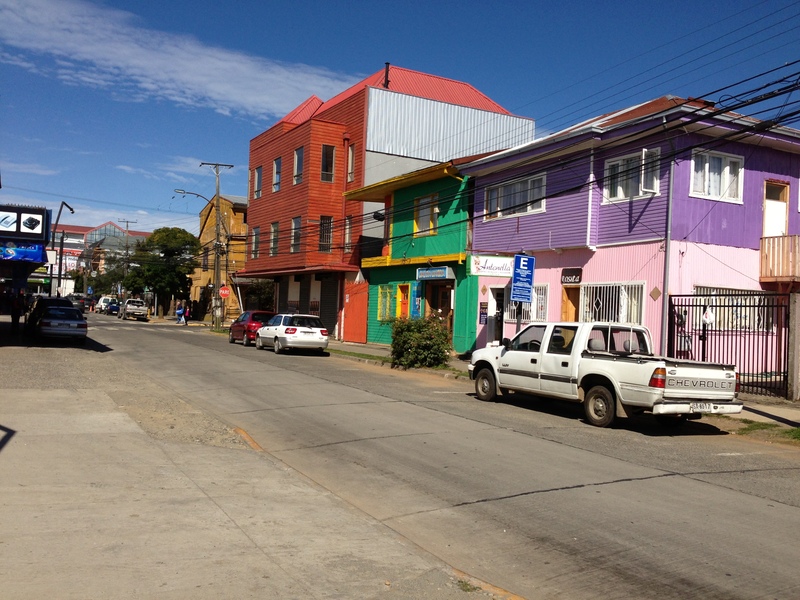 I woke up this morning in Valdivia, the principal city in this southern province of Chile. 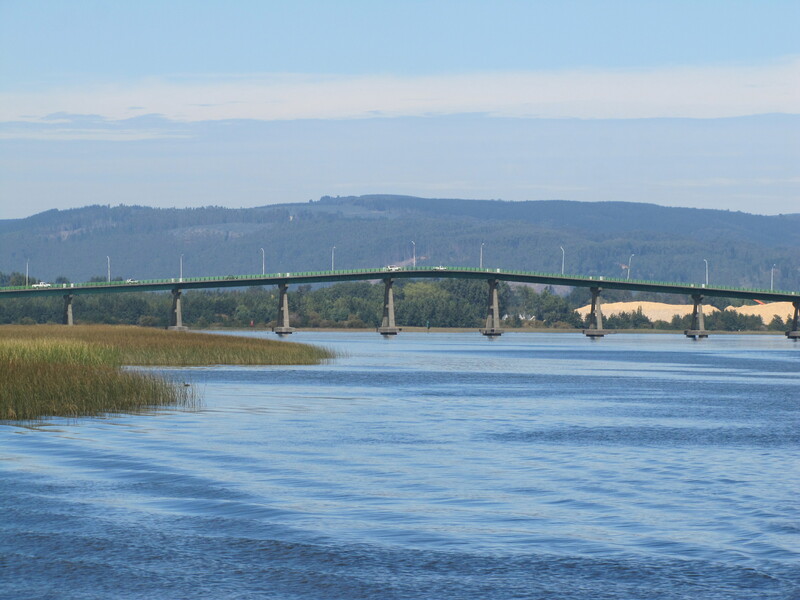 Quite a beautiful one, situated at the juncture of four rivers: Rio Calle Calle, Rio Valdivia, Rio Cruces, and the Rio Cau Cau. 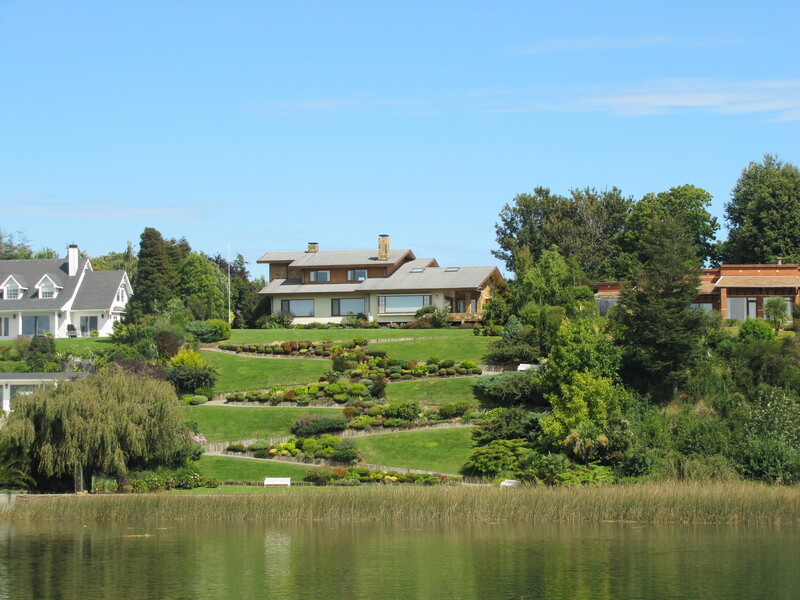 I arrived here around 7:00 pm last night and as we drove past the Rio Valdivia, lined with a beautiful walkway, it was full of strollers, kids playing, and crowds gathered around food and beverage stands, giving it a holiday feel. 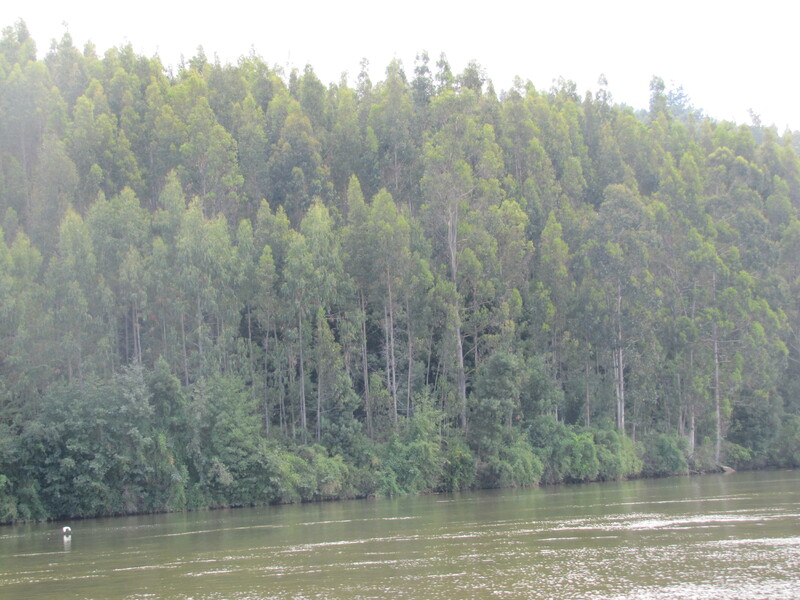 The river was full of crew boats, kayaks, and tour boats which take visitors around the various rivers to the nearby forts, cloud forests and other attractions for which the region is known. I’m told the coast is 20 minutes from here and the infamous lakes district another hour. I have one day before the rest of my Equal Exchange colleagues arrive and I’m about to check out the possibility of going kayaking. If that doesn’t pan out, I’ll try to go hiking in the Oncol Park, a nearby protected reserve. It was a long trip to get here with an earlier failed attempt, all of which make the fact that I’m finally here even more exciting. From Boston, the Air Canada flight to Santiago connects in Toronto. We tried to visit in February when the blueberry season is in full harvest and the honey production at its peak, but a blizzard in Toronto wreaked havoc on our travel plans. I know: Who goes to Chile via Toronto? Please don’t even ask! 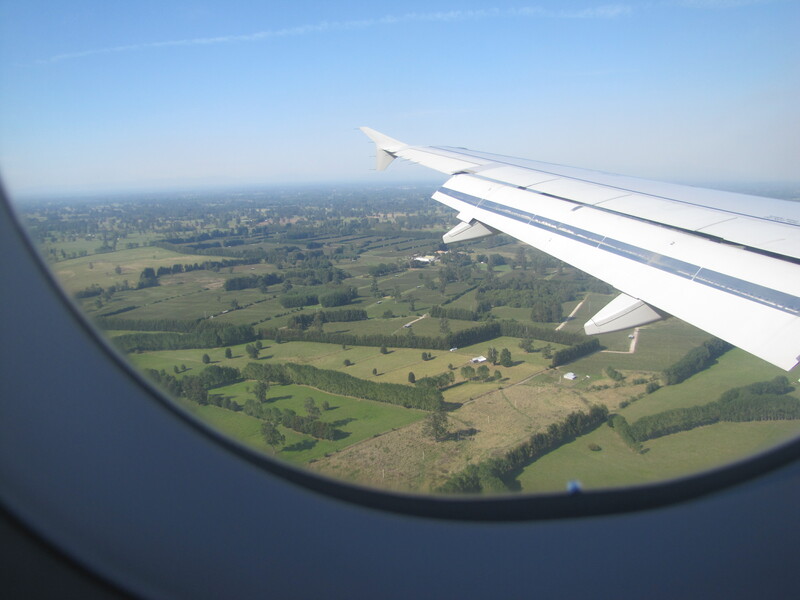 The bad luck was compounded when we tried to reschedule on the next available flight, three whole days later, only then to learn that since Valdivia was in the height of its summer season, it was no longer possible to book a domestic flight into the region. Flights for the entire week were sold out. Sadly, we gave in and gave up, cancelling the entire trip. Finally, I’ve made it to Valdivia. 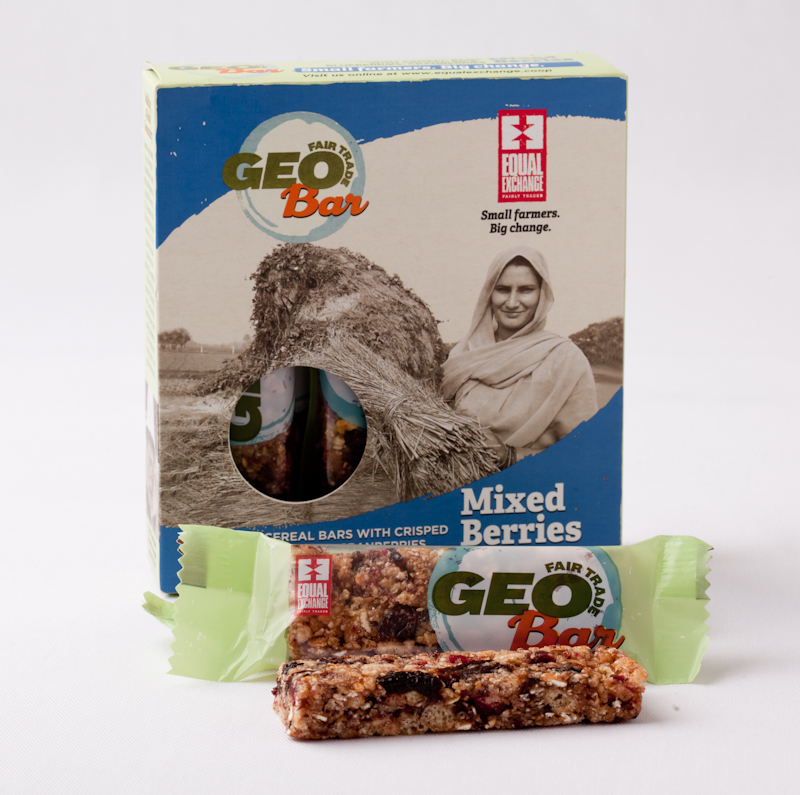 My colleagues arrive tomorrow and we begin our whirlwind tour, starting here in the south where we will visit Apicoop, the producers who provide us with the honey and blueberries that you can find in our Geobars. We then fly back to Santiago and on to Los Andes to visit Mi Fruta, the co-operative that produces the juicy raisins also found in our Geobars. These Flame Raisins are so big and so tasty, we plan to make them part of a Trail Mix, our newest product which will soon hit the grocery store shelves. Since we’ll be passing back through Santiago midweek, why not also make a brief overnight stop to meet the folks at Sagrada Familia, the Fair Trade small farmer organization that produces Lautaro Wines? This time around, there was only one minor glitch in the travel plans. The airport in Valdivia is closed for several weeks due to reconstruction, so we are flying into Osorno and then going the remaining distance by land. This means I left my house in Boston at 5 pm on Thursday and arrived in Valdivia just after 7 pm on Friday. It doesn’t seem like it should take that long to get to Chile, but there you have it. 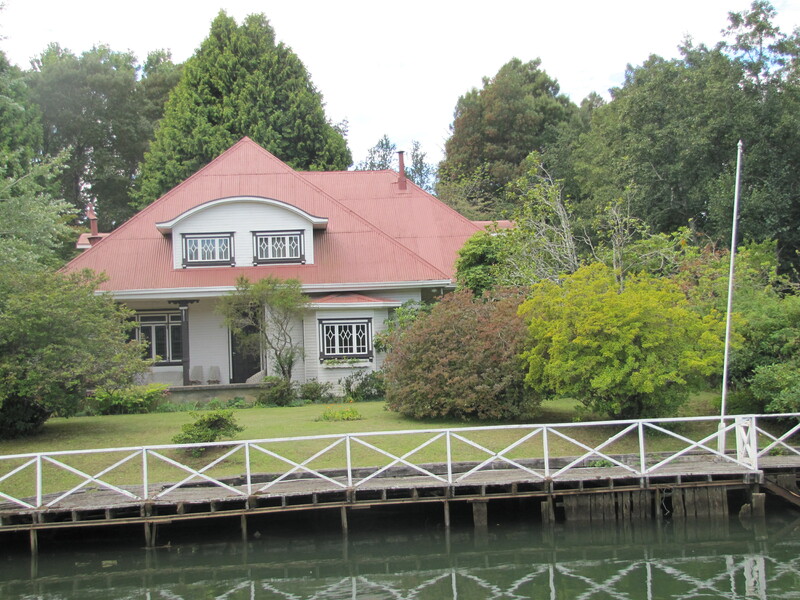 When I arrived in Osorno, Lily Becerra was waiting to drive me to Valdivia. Lily is an agronomist who has been working with Apicoop since 2000. She’s young, quite beautiful, and really friendly, making me feel quite at home immediately. During the two hour drive to Valdivia, Lily told me about her work with the beekeepers and the various plans the staff and members of the co-op have for the future. I told her about Equal Exchange, how we were organized and about our newest strategy to support small farmer organizations by developing and introducing a whole new array of Fair Trade small farmer products into the U.S. market. I’m closing today’s post by just admitting that every time I have the opportunity to visit one of our small farmer co-op partners, meet the staff and the producers, learn about their organizations and products, their histories and visions, successes and struggles, I appreciate over and over again the unique role Equal Exchange plays in the U.S. Unfailingly, on every visit, I remember how proud I am to work for an organization that continues to go against the flow, working tirelessly to build small farmer supply chains, support small farmer organizations, and educate North American consumers about the vital role these groups play; and the critical role they, as consumers and informed citizens play, in keeping small farmer groups thriving, caring for our natural resources, and keeping us connected to our food sources, ourselves, and the world in which we all play a critical part. 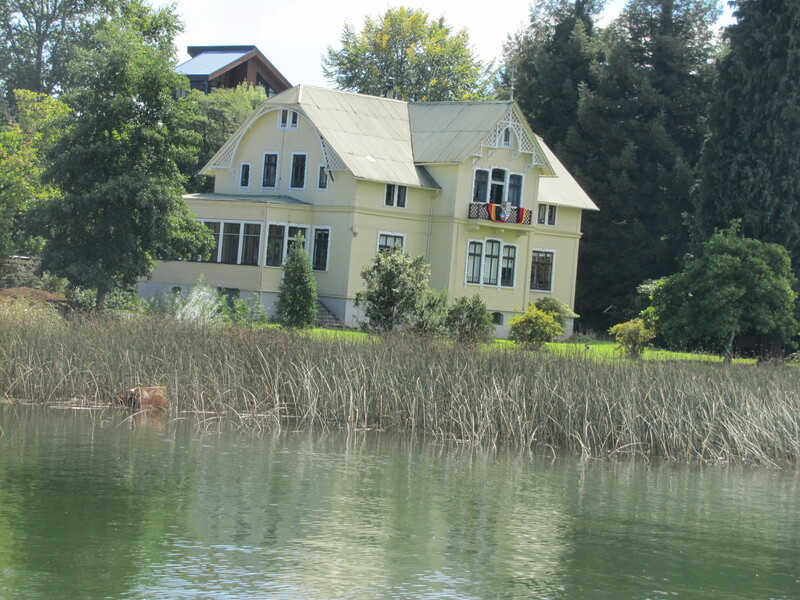 I’m on my way out of the hotel before I lose the better part of this day; I promise to fill the next blog entry with photos of Valdivia.